DIFFERENCE BETWEEN laryngopharyngeal reflux AND gastroesophageal reflux. Laryngpharyngeal reflux (most commonly called silent reflux) is actually a SYMPTOM of GERD. 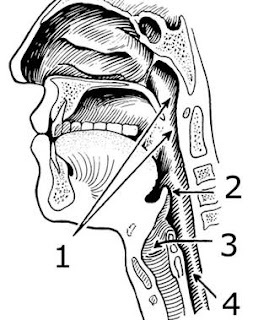 It refers to gastric contents pushing their way up to the upper digestive tract (thus larygopharngeal, referring to the larynx (voice box) and pharynx respectively). I myself generally don't get heartburn. Laryngpharyngeal reflux and chest pains are my primary symptoms. I think LPR is silent reflux. Appears more in the throat (throat burning, coughing, clearing the throat, feeling of a lump in the throat). GERD symptoms are those but also exhibit the typical of heartburn and chest pain as well. Charlotte Perkins Salvatierra My only knowledge is from google to be honest. But I think the cause is the same, it's just the symptoms that you exhibit that differ. I might be wrong though. Yes you can have both. Mark Alvarez Ticay Honestly, I don't really know what is good and bad anymore. The drugs they prescribe suppress the stomach acid to reduce the symptoms, but don't address why you are getting the symptoms in the first place. The problem with the drugs I think is if you suppress the acid too much, it messes with your digestion in general. I'm currently on a PPI (Protonix). My doctor gives me esmeporazole but i get itchy on my skin. Mark Alvarez Ticay The drugs definitely cause their own weird side effects other than what we were exhibiting before. Is it helping with your LPR symptoms. For sore throat, I ordered slippery elm to soothe my throat. It's a powder you mix with water and drink. Maybe good to try herbal med? That's kind of what I'm thinking. Instead of prescriptions, try natural remedies. I've already modified my diet drastically. Mark Alvarez Ticay I'm still learning myself. But I think for the majority of people, it all comes down to diet and lifestyle. Eating mostly fruits, veggies and lean meats. Don't eat late at night (3hours before bed), sleep at an incline etc.. But everyone is different, so it's hard to point any one person in the right direction. It's a matter of trial and error. both are include in Gerd? I think LPR is caused by GERD. It's just harder to diagnose because it doesn't exhibit the heartburn/chest pain which are classic symptoms of GERD. Muhammad Ali Just a few tips I've followed that helps. Eat smaller meals more frequently (I eat five meals in between 7am and 730pm), lay at an incline (no flat), do not lay down for three hours after your last meal. I eat mainly veggies, fruits and lean meats (chicken, turkey, fish). I was diagnosed July 31st, and it is very slowly improving. Good luck to you. I dont have the heartburn..just the tickly cough and gag..had my gall bladder out a few yrs ago. They thought my indegestion was that. I had my gallbladder out in 1998 and have had reflux in the last few years. Do you think there's a connection?